Right. I don’t want to come across as too inflammatory at the outset, but I’m always wary of anything that uses the word “gaming” to describe something. Computer peripherals in particular seem to use this as a buzzword that means “aimed at people who play videogames and also have little to no aesthetic taste”. That usually means sharp edges, mismatched colours that are simultaneously bright and dark, and (usually) a bit of a price hike to tie it all together. Basically it’s aimed at teenage boys. 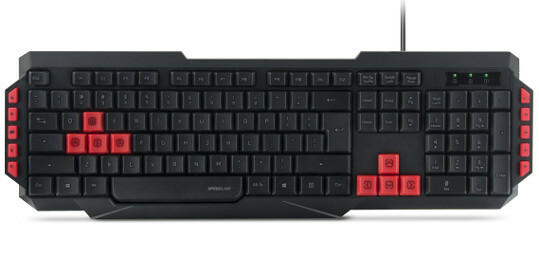 The Speedlink Ludicium Gaming Keyboard fits the “gaming” bill pretty well. The keyboard itself is a fairly basic one, but it does have the handy multimedia hotkeys down either side for messing with sound and music, and opening useful Windows programs. 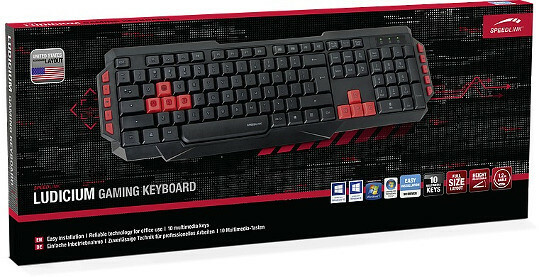 It also has the arrow and WASD keys highlighted in a very plasticy red colour, which presumably helps you see what keys your fingers should be on in a dark, screen-lit room. 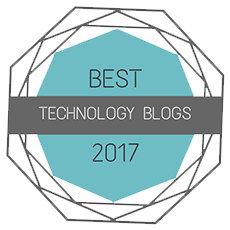 Most importantly it does what every ’board should be capable of; adequate typing so you can surf the web. It’s fine for games too, though like many other cheaper keyboards, the keys are a little springy. The space bar is especially so when hit anywhere off-center, so anything where repeated quick presses are needed will suffer slightly. They’re far from silent key presses too, but they aren’t as loud as some of the clicky clacky mechanical keyboards. It boasts that it is “height adjustable for maximum ergonomic comfort”, which translates to “it has two stands you can flip down to adjust the height ever so slightly”. Does it offer the same maximum ergonomic comfort that my pricier but actually ergonomically designed keyboard does? No it doesn’t. And it’s quite a low bar they’re setting for maximum ergonomic comfort there. These stands are all plastic as well so, combined with the completely plastic feet, this means that the keyboard also has a tendency to slip and slide about on smoother types of desks. It’s a minor irritation, but also one that doesn’t make for a great typing experience when I have to keep readjusting the position of my keyboard because my small yet immensely powerful hands knock it around the desk slightly. The Num, Caps, and Scroll lock lights are all in the usual place but are fairly dim, and all in the top right of the keyboard. In a fairly well lit room it’s almost impossible to see if it’s lit. Whilst typing this I had to lift the keyboard just to check if any of the lights were on. Num lock was by the way, but it’s far from obvious without physically moving myself or the keyboard for something that you should be able to tell from a brief glance. It is pretty much what it set out to be; a cheap keyboard. No one’s going to be rushing out get one of these for gaming, but it’s certainly an option that works competently and has a price point that won’t empty your coffers. I’ll be reverting back to my ergonomic keyboard because there’s a price to pay for comfort, and it’s more than £19.99.